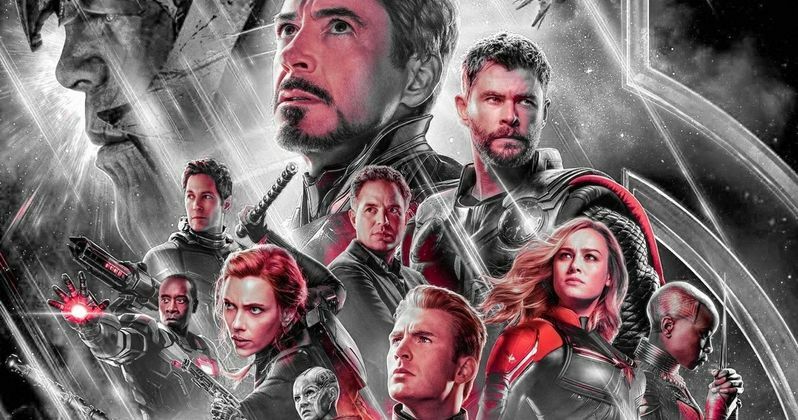 The Avengers: Endgame poster reveals the return of important characters and hints that they might have some key roles to play. Marvel Studios surprised everybody earlier this week with the release of the Endgame trailer along with a truly epic one-sheet, which officially introduces Captain Marvel to Earth’s Mightiest Heroes as Thanos looks on in the background. Tony Stark, Steve Rogers, Bruce Banner, and the rest of the crew are featured, but it’s the cast list that provides some extra information that isn’t shown off in the artwork. Pepper Potts (Gwyneth Paltrow), Happy Hogan (Jon Favreau), and Wong (Benedict Wong) are all featured in the cast list on the latest Avengers: Endgame poster. We knew that these characters were all coming back, but the fact that they are mentioned in the credits leads one to believe that they will have pretty significant parts in the highly anticipated movie when it hits theaters at the end of April. Since Wong is listed, many believe that he will be a major help when it comes to knowledge about the Time Stone. As for Gwyneth Paltrow, she revealed on social media that Pepper Potts will suit up in Avengers: Endgame. It is believed that she will be featured in the Rescue armor from the comics. It is unclear if she will play a part in getting Tony Stark and Nebula to Earth, but she wouldn’t be able to do it without the help of Jon Favreau’s Happy Hogan. There have been rumors swirling that Rocket Raccoon will team up with Potts to retrieve the Benatar from space, which is currently housing Stark and Nebula as they run out of food and water. Also featured in the Avengers: Endgame poster is Danai Guriria’s Okoye. However, her name was not originally posted in the credits section of the poster, which led to a small backlash amongst MCU fans. Once Marvel Studios realized that they had made a mistake, they corrected it and added Gurira’s name to the cast list. This probably means that she will also have a pretty large part to play in the movie. Okoye was devastated to watch T’Challa turn to dust when Thanos completed the Decimation and she will more than likely be determined to help in any way that she can. One character who was definitely not spotted in the Avengers: Endgame trailer is Spider-Man. One clever MCU fan claimed that he spotted Peter Parker, but he was just pointing to a floating pile of dust, which is a pretty savage joke. Regardless, it really looks like the Russo Brothers are planning some pretty huge surprises for Endgame, which is sure to be welcomed with open arms from fans. Even though the movie is close to hitting theaters, we still have no idea how Earth’s Mightiest Heroes are going to pull together to beat Thanos and reverse the Decimation. You can check out the poster below, thanks to the Marvel Studios Twitter account.